When the air gets cold and the snow starts to fall, my kids and I head to the ski slopes for hours of skiing fun. When they were small, it was easy to keep track of their location because they spent most of their time on the easier green level slopes with me. But, as they’ve outgrown my skill level and have moved on to the more challenging trails, we’ve had to communicate on the mountain via cell phone. We always use the buddy system, but there are times when we need to text or call each other to meet for lunch or if one of my kids has a gear issue. Extreme temperatures often wreak havoc on your cell phone’s battery life and that can make things tricky when it comes to communicating in emergency situations (or when your kids run out of hot chocolate money). 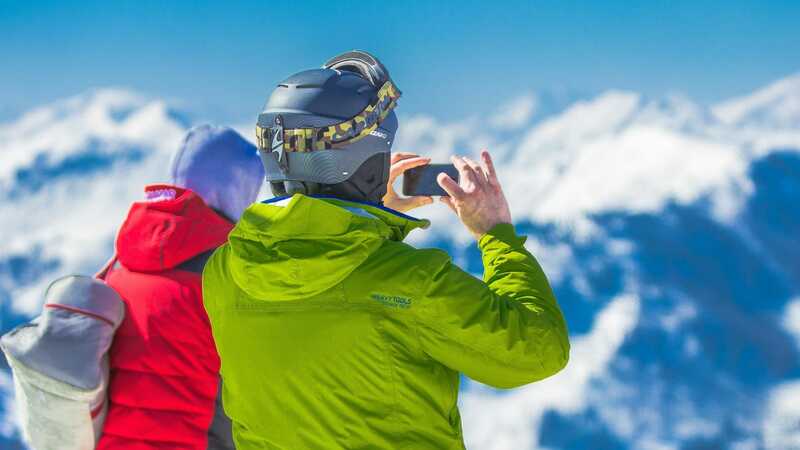 Even switching our phones to the “low battery” setting hasn’t helped if our phones aren’t fully charged when we hit the slopes. Though we’ve tried all sorts of tricks to keep our cell phones warm and toasty, it was a recent suggestion from a friend that was a game-changer for our ski adventures. That’s right, those little heat-activated pouches meant to warm your fingers and toes can also keep your cell phone battery warm. Toe warmer pouches come with adhesive backings that are perfect for affixing to the back of your phone. Simply remove the toe warmer from the packaging, activate it by shaking and stick it to the back of your phone. You can then put your phone in your pocket and voila, you’ve created a toasty warm environment that will keep your cell phone in full working order even in the coldest of temperatures. The toe warmer packs often last up to eight hours, which will give you a full day’s peace of mind. And total bonus: When you take your gloves off to text your kids or friends, your hands will be warm, too! Now, a word of caution when it comes to putting a heat source on your phone: If your phone does not have a case or the case you use is made of thin plastic, it might be a good idea to slip your phone into a sock before you affix the toe warmer near your phone. In most cases, your cell phone case will be enough of a barrier, but use your best judgement to avoid any technological mishaps. I tried this nifty little tip on my last trip to the ski slope and it worked like a charm. My phone battery life stayed constant and so did my daughter’s. We were able to communicate all day long and the worry of a dead cell phone melted away. This hack isn’t just limited to skiing, either. From spending long hours shoveling piles of snow, sledding or building snowmen with kids who refuse to come inside, or working a job that requires you to be outside for long lengths of time, an inexpensive toe warmer is the perfect way for you to keep your cell phone in top shape during any outdoor activity where the temperature has plummeted.